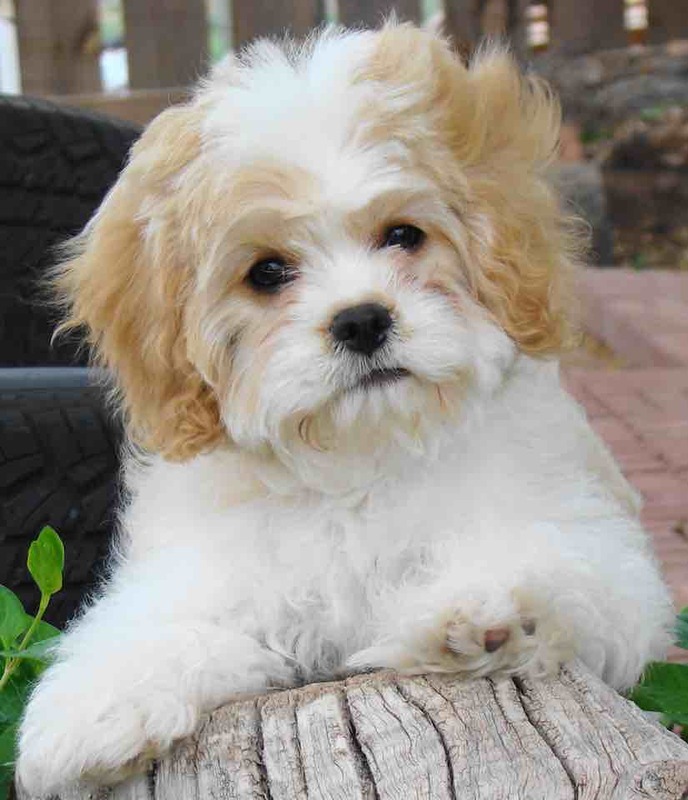 Cavachon is a designer dog breed made by crossing Cavalier King Charles Spaniels with Bichon Frise dogs. The Cavachon is a loving, affectionate and friendly breed. Cavachons are small non-shedding dogs, which makes them good apartment dogs. This designer breed is suitable for people suffering from allergies due to their low shedding, dander free coats. How big is the Cavachon? The Cavachon is a small designer dog, typically 12 inches to 14 inches tall depending on the parents involved in the hybrid and weighing somewhere between 12 and 18 pounds. F1 first generation Cavachons tend to be slightly larger in size. Cavachons are intelligent, gentle and friendly. Their small size, playfulness, hypoallergenic properties and gentle demeanor make them an ideal dog for kids and families with kids. The Cavachon can also fit in well with other pets, dogs, and cats in the house. The friendly and loving nature of Cavachons has led to a great demand for these designer dogs in the last few years. 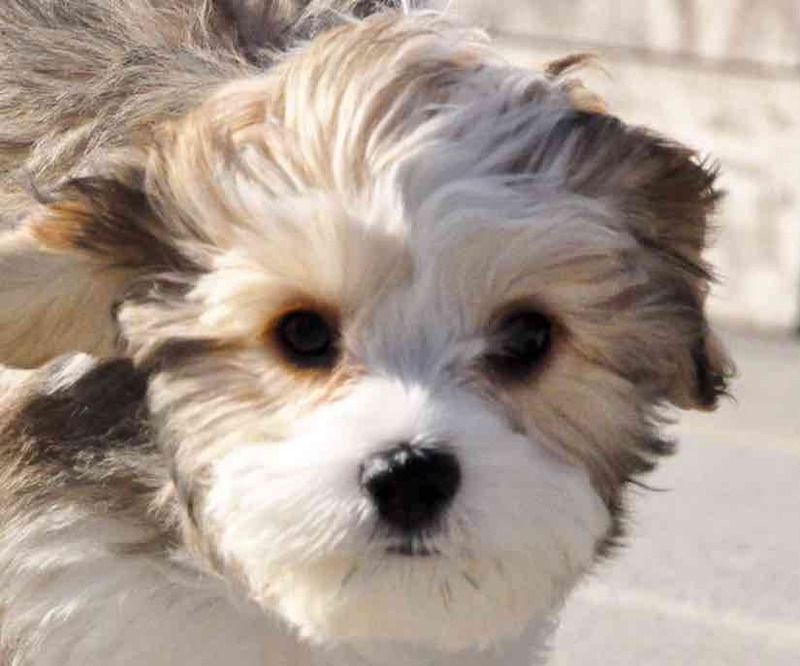 Is the Cavachon Hypoallergenic? Do Cavachons shed? The general goal of breeding Cavachons is to produce a puppy that does not shed. Bichon Frise (parent breed) is a hypoallergenic dog. However, most Cavachons are F1 first generation and have a 50% chance of being hypoallergenic. 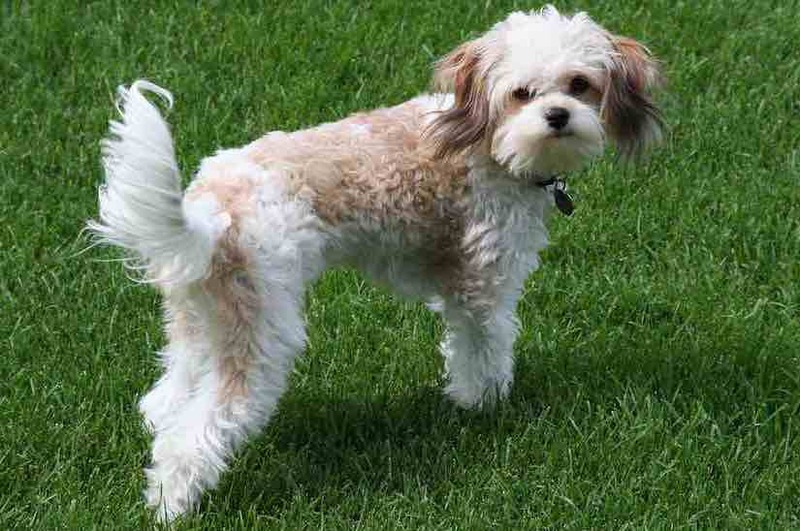 F1b Cavachons backcrossed with Bichons have the maximum probability of being hypoallergenic. A wide variety of colors is bred in Cavachons. Tri-color, Black and White, Sable and white, and Blenheim (apricot and white) F1 first generation Cavachon puppies can be produced from the mating of a tricolor King Charles with a Bichon Frise. Unlimited parti-color options with white markings are possible in F1b Cavachons by backcrossing with the Bichon. Is there a Toy Cavachon? How big is a toy Cavachon? Some breeders have bred for smaller sizes and have introduced Toy Cavachons and Tea Cup Cavachons which are gaining popularity due to smaller sizes. However, beware of health issues and genetic weakness in smaller toy Cavachons. 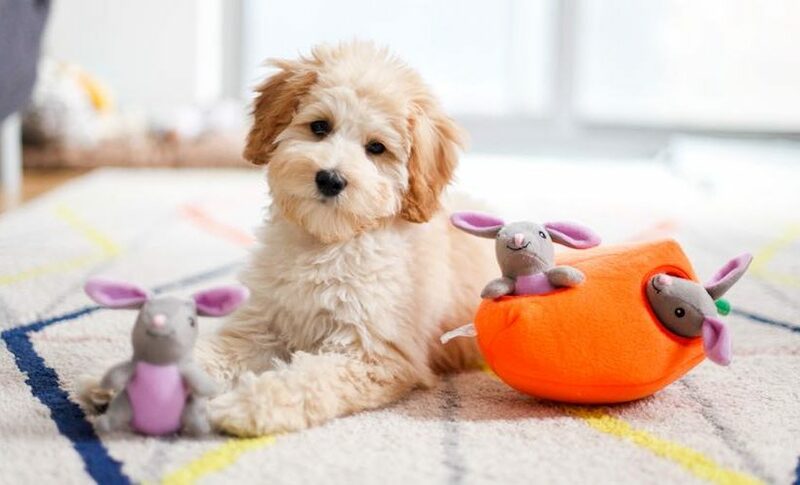 Toy Cavachons are less than 12 inches weigh less than 10 pounds. What is an F1b Cavachon? Do they shed less? 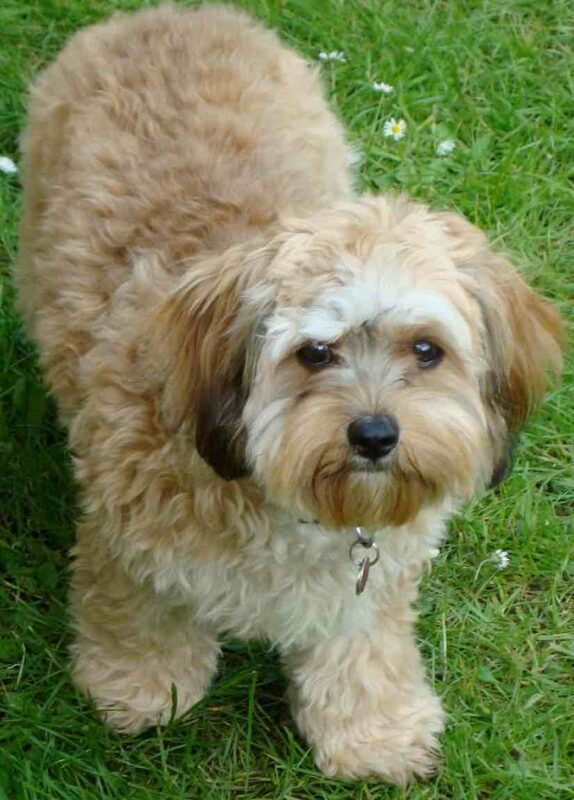 An F1 first generation Cavachon is crossed with a purebred Bichon to get F1b Cavachons. F1b generations have a higher probability of being hypoallergenic. 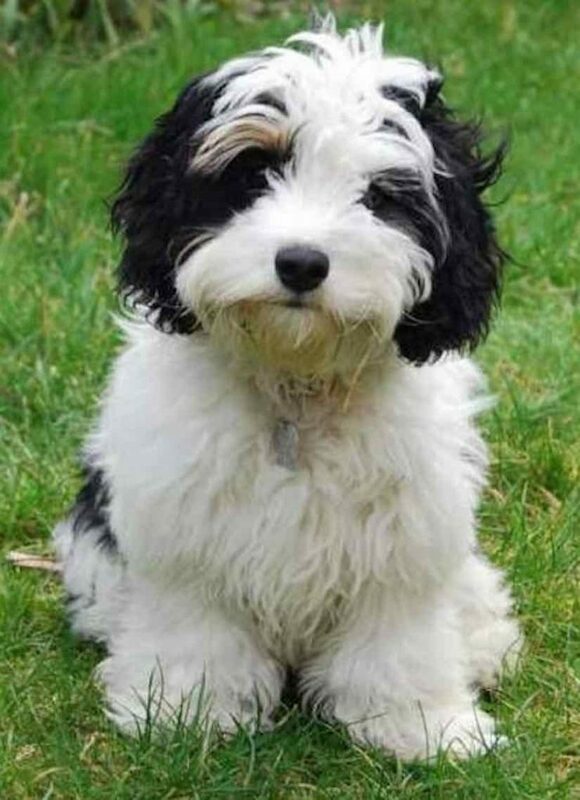 Searching for physical confirmations will help you in picking up a good Cavachon puppy. However, remember that this is a designer dog and a unique mix of characteristics can be observed in each designer breed. No two designer dogs are alike! Look for the following physical characteristics. General Appearance: The Cavachon is a small, sturdy designer dog. It’s intelligent expression create an overall air of elegance and dignity. This is a designer breed that has no gross or incapacitating exaggerations and therefore, there is no inherent reason for the lack of balance or unsound movement. Coat: The undercoat is soft and dense, the outer coat of a coarser and curlier texture. The combination of the two gives a soft but substantial feel to the touch. Head: The skull should be broad, not coarse, covered with a topknot of hair giving it a rounded appearance. Neck: The neck is long and carried proudly behind an erect head. Tail: The tail is set on a level with the topline and curved gracefully over the back in line with the spine so that the hair of the tail rests on the back.